I have had this pattern forever it seems. Snagged it during one of JoAnn’s pattern sales for like, $1.99 or something. Anyway, my summer work wardrobe is looking pretty boring; probably should get started on fixing that. 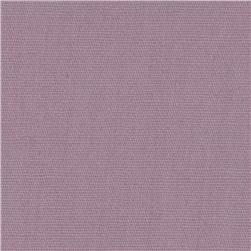 I ordered a lilac, stretch poplin from fabric.com (adding some quilting cottons in to the order to qualify for free shipping) which should arrive tomorrow. But! I don’t have to wait for the fabric to begin work on this dress. I never, ever seem to make the correct size. Especially dresses. They always come out too big! I found this lovely blog, with this great tutorial. She’s so smart! I never thought to measure the actual pattern pieces! So, I re-measured myself. And then I began work on measuring the pattern pieces. The darts. Subtracting the seam allowances. Converting fractions to decimals and back. These little markings indicate the finished garment circumference, and they are found on the sleeve at the bicep, bust line, hip, waist and other places. I chose my pattern size based on these little circle crosses and their associated numbers. An 8 for the top. A 10 for the waist. A 12 for the hip. Um, pretty easy once I chose the size. I do have to transition the sizes between the different pattern pieces. And construction of this dress is a bit…odd. So that’ll take some work and I don’t have the energy to mess with it tonight. Anyway, my lesson learned tonight is to take time and think it through. Planning. It really comes down to planning. With sewing, I tend to just jump right in. Cut! Pin! Sew! I think I just get so excited to get started and to finish that I don’t totally think through the parts that will trip me up during the process. Or I’ll breeze through steps and end up with a way-too-big dress/shirt/skirt. Getting back to the planning, I’ll need to go get some 5/8″ buttons. Oh, and a yard of fusible interfacing. But I might have that already. Gotta check the stash.